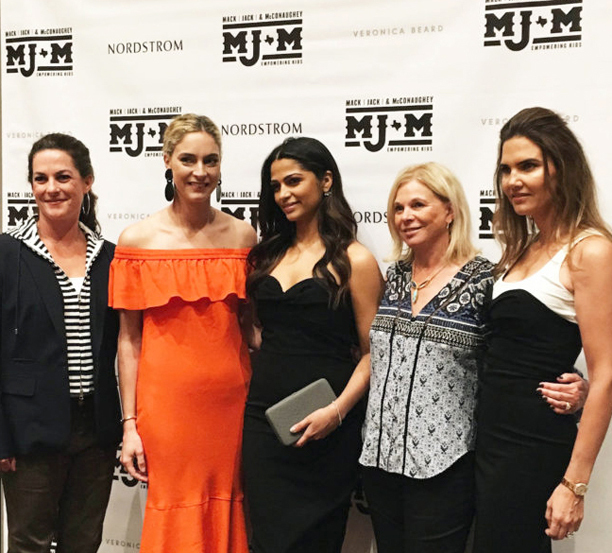 On April 15, the leading ladies behind Mack, Jack & McConaughey—Amy Ingram, Sally Brown and international supermodel Camila Alves McConaughey—hosted the organization’s most impressive fashion production to date at the JW Marriott in downtown Austin, Texas as part of the annual fundraiser. The show, which takes place at the same time as MJ&M’s celebrity golf tournament, offers a fun activity for those who prefer to appreciate the arts indoors over participating in the outdoor sports competition. Sponsored by Nordstrom, this year’s was a first-class, New York City worthy event. Models adorned with makeup by MAC Cosmetics sported the Veronica Beard Spring 2016 collection on a white runway that provided a true fashion week feel. Guests enjoyed cocktails and a silent auction featuring fashion items (mainly luxury handbags by brands such as YSL and Chloe) before the show, and a formal luncheon afterwards. In all, it was a fun, glamorous and heartfelt day filled with entertainment, community building and giving back for the sake of empowering children. 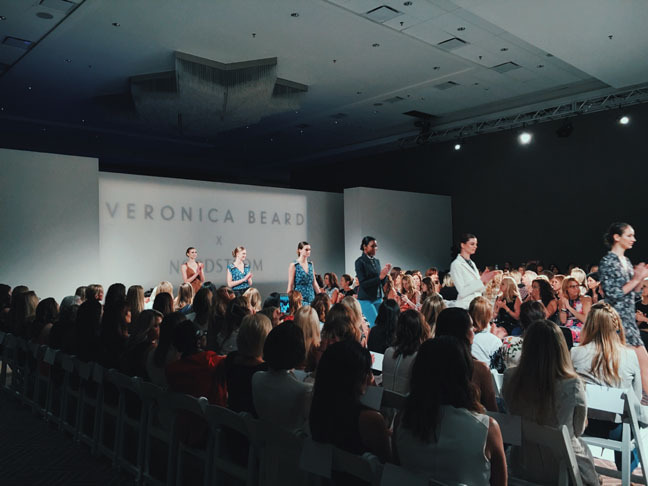 A connection through just keep livin’ resulted in the selection of Veronica Beard as MJ&M’s 2016 fashion partner. The womenswear brand is somewhat of an anomaly, co-created by two sisters-in-law with the same first and last names (hence, the title of their company). 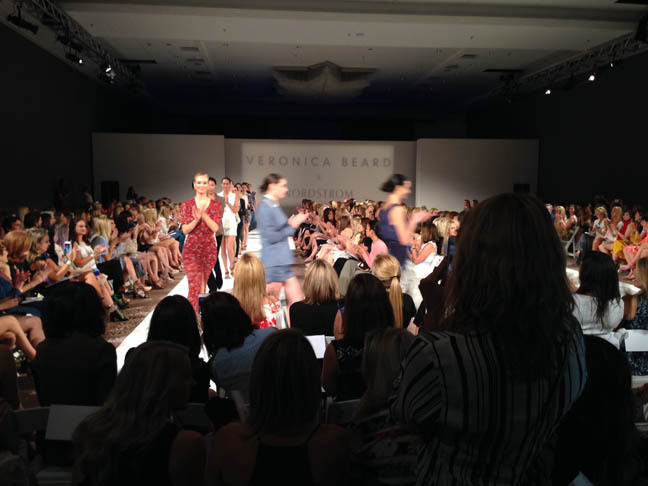 “On our website, we have ‘VB Gives Back’ which is part of our blog. Something we do every month is partner with a non-profit, and we met Camila through JKL (just keep livin’). It was love at first site. We love what she does, she loves what we do; it was a perfect partnership. We became friends through that, and then she asked us to partner for Mack, Jack & McConaughey,” explained V.S. Beard. 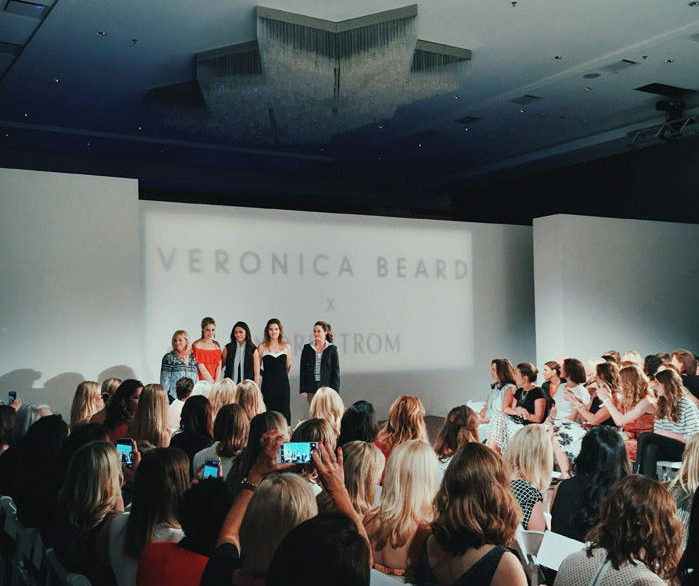 “Nordstrom happens to be a great partner of ours as well, so the fact that they are hosting this fashion show is fabulous for everybody,” said V.M. Beard. What should fashion do or be for those who are to enjoy it? “Easy,” said V.S. Beard. The tall, beautiful and business-savvy duo launched their eponymous brand in the Fall of 2010 with their signature Dickey Jacket. This key convertible item begins with a classic jacket that can be paired with a number of different zip-in options which change the overall look a wardrobe—from a dressed-down, soft hoodie to an elevated, leather, mandarin collar look. 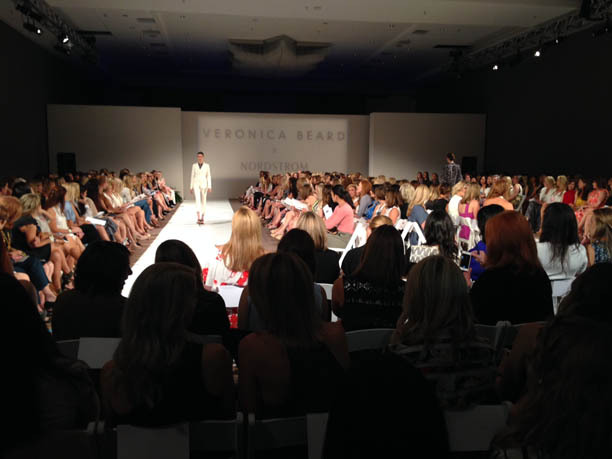 With collections that are both effortless and chic, Veronica Beard offers a modern perspective on wardrobe staples which results in ready to wear options that are versatile and tailored for everyday life. 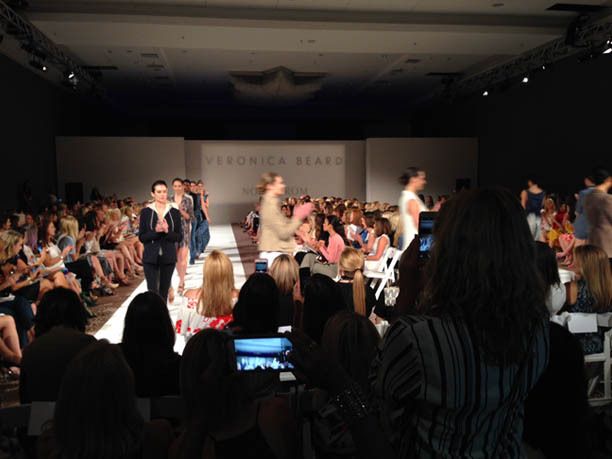 “Veronica Miele Beard and Veronica Swanson Beard are two of the most innovative designers today,” Camila remarked on the pair. 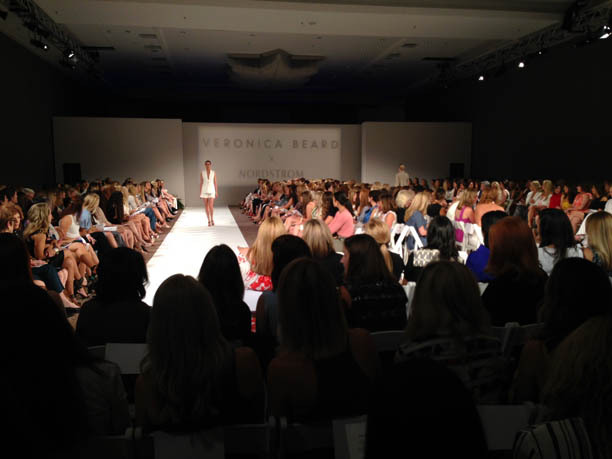 “We are delighted to have them in Austin to share their wisdom and display their collection at this year’s fashion show.” Through their applause, show attendees seemed to share Camila’s enthusiasm for the brand and the overall production. The fashion show is just one aspect of Mack, Jack & McConaughey’s two-day event which draws thousands of supporters each year to benefit five programs that significantly impact kids’ lives. The non-profit gives to organizations dedicated to children’s education, health and wellness. The chosen 2016 beneficiaries include: CureDuchenne, Dell Children’s Medical Center of Central Texas, HeartGift, the just keep livin’ Foundation and the Rise School of Austin. How do the orchestrators such an influential fundraiser teach their own kids to give back? “We always do it,” said Camila. I think we teach kids by showing them.” She gave an example of one family trip to Cambodia where she took her kids to an orphanage and school, stopping at a store along the way to purchase supplies. She asked her children to help pick some out, and her son was particularly drawn to the toothbrushes. Camila purchased them as a minor detail of their shopping list, but was surprised by what happened when they arrived at the school. “Those kids were more excited about a toothbrush than any other toy or school supply we had.” She was glad she had not made her son put the toothbrushes back and let him have the responsibility of picking something out to give and feeling the impact he made in doing so. “I think it’s really exposing them and making them part of the whole process,” she explained. In its fourth successful run, MJ&M has raised over $1.7 million in 48 hours of operation. This money will go towards providing safe places where kids can convene after school and programs for them to participate in healthy activities, curing muscular dystrophy–a devastating and destructive muscle disease affecting thousands of young boys, medical research, life-saving heart surgeries and early education for children with and without disabilities. For more information, visit http://www.mackjackmcconaughey.org. © Copyright JOS Media. All rights reserved.